The state of Pahang is the largest state in Peninsular Malaysia with a land area of about 35,960 square km. It is the located at the east coast of the Peninsula with a 210 km coastline that faces the South China Sea. The popular beach resorts of Club Med and Tanjung Jara Resort are located here. The majority of the population of 1.5 million stay along the coastline. The interior of the state towards the west is a mountainous region where it has one of the oldest tropical rain forest in the world. This is where the Taman Negara, Malaysia's largest national park is located. Mount Tahan, the highest mountain in the Peninsula is located here with a height of 2,187 m above sea level. Many have taken a week or so off their normal routine to scale this mountain. 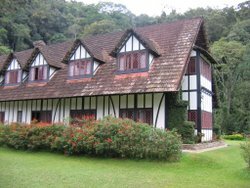 The Tudor-style Lakehouse Resthouse in Cameron Highlands. Chances are that you have been to the cool highland resorts of Cameron Highlands, Fraser's Hill, Genting Highlands or Bukit Tinggi. These hill resorts are located in part or fully in this state. The temperature at these resorts usually ranges from 16 °C to 24 °C and is a great place to go if you want to get away from the heat and rush of the city life. Take note that the raining season occurs during the months from November to Mar. This is the north-east monsoon season and sea activities usually come to a halt due to the strong waves caused by the north-easterly wind. Hence, if you want to enjoy the beaches and the islands, it is always a good idea to come during the months of May to Sept.
See the 2019 Pahang Tourism events and you may be able to participate in one or two of them while you are here. Here are some of the places and activities that you may want to explore.. This beach is about 45km from the town of Kuantan and Club Med is located here. There are many budget and mid-range hotels located along this stretch of beach. There is a fishermen village here and this beach is about 10km north of Kuantan. Drop by this beach, chances are you may be able to purchase some sea shell from the fishermen. This popular beach is located 5km from the town of Kuantan and has quite good facilities for tourists. Changing rooms and restrooms are provided. Many stalls that sell souvenirs and food are located along this stretch of beach. This marine park is popular with tourists especially during the months from May to September. Berjaya Tioman, the international resort hotel is located here. Drop by for half a day of fun with your family at this elephant conservation centre. You will also learn and encounter these endangered animals at close range. While in Kuantan, remember to take a cruise along Kuantan River and enjoy the scenery of the city from here. You will also encounter fishermen village and mangrove swamps. Head for Cherating Turtle Sanctuary and learn more about the endangered turtles and the conservation programme. You can even sign up to join the turtle watching programme during the night from the months of April to August. 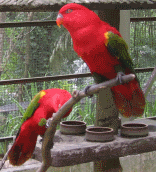 This oldest National Park in Malaysia is a must if you want to experience the tropical rainforest. Plenty of activities to do while you are here. Here are some choices of food while you are in Kuantan. Curry noodles, "cendol", "sata" and toasted bread are some of the food that you may want to consider eating. This is a kosher or "halal" seafood restaurant that is located along Jalan Beserah on your way to Kemaman from Kuantan. Popular dish include the stuff crab which costs around RM5 per crab. A great place to go as you can see the beautiful scenery of the tea plantation, vegetable farms, flower farms and plenty of restaurants that you can go to. Modern theme parks and rides are the main attractions here. 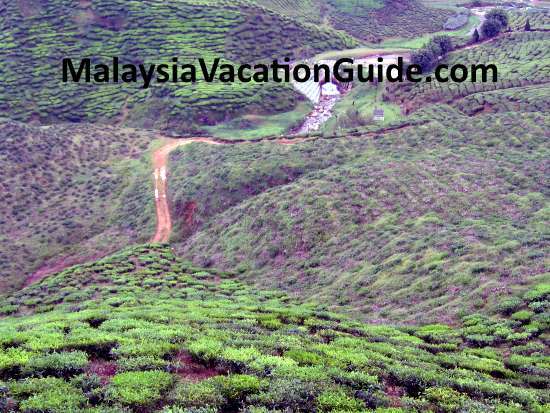 This highland is only an hour or so drive from Kuala Lumpur. Popular during the weekends and public holidays. This is the least developed highland in Pahang. Most popular with bird watchers and those who want to go to a quiet place for holiday. The newer resort known as Berjaya Hills are located here. See the replica of Colmar Village in France, Japanese Village, Botanical Gardens, rabbit park, archery and spa at a cool altitude of about 1,000 metres from sea level.